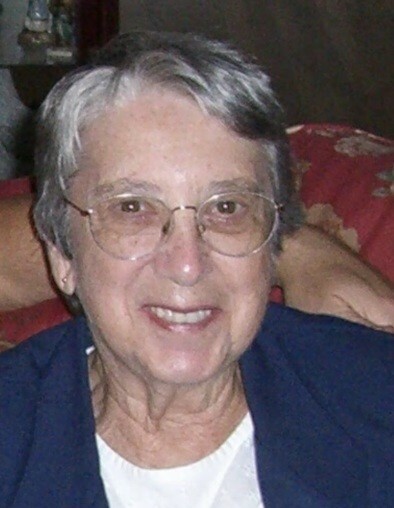 Dorothy L. Hull, age 92, went to be with the Lord on Sunday, April 7, 2019. A native of Montague City, MA, Dorothy was a Sister of Providence whose Motherhouse is in Holyoke, MA. She was loved by everyone and was active in many activities with her extended “adopted” family. Dorothy was preceded in death by her parents Charles and Dorothy Hanlon Hull. She has one sister, Eleanor Hennessey (Steve), one brother, Arthur Hull, nieces, Mary Petersen and Rosemary Gretkowski, nephews, Patrick and Andrew Hennessey, Charles and Christopher Hull. Members of her adopted family are Glenn and Diane Keen, Haden and Haley Keen, her God-daughter, Victoria Keen, William and Babs Keen, and many others in the Keen family, and her Windsor House family. On Wednesday, April 10, 2019, there will be a public viewing at 9:30 am in the Narthax of St. Andrews Catholic Church, with a Funeral Mass beginning at 10:00 am. St. Andrews Catholic Church, 675 Riverside Rd., Roswell, GA 30075. Interment to follow at 12:00 pm in the cemetery of Macedonia Memorial Park, 10685 E. Cherokee Dr., Canton, GA 30115. Canton Funeral Home and Cemetery at Macedonia Memorial Park is honored to serve the family of Dorothy L. Hull.